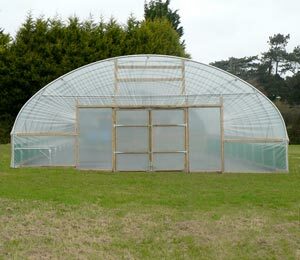 Getting to know your new polytunnel involves spending plenty of time making sure that you understand how conditions inside your polytunnel will differ from conditions outside in your garden. 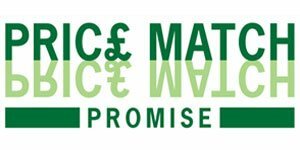 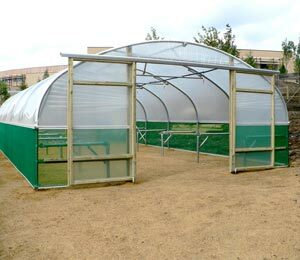 You will need to understand how plants will react to those conditions, and how those conditions will vary throughout the year. 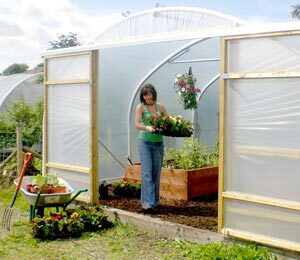 While much of the knowledge you need for a successful harvest and sustainable growing year after year will come from actually gardening, and gaining the experience, some lessons are best learned early. 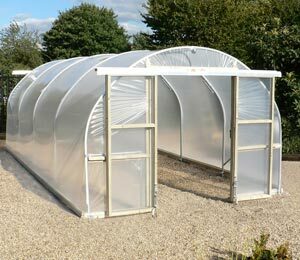 Temperature and ventilation within your polytunnel are two things to understand, ideally, before you put your plants in place. 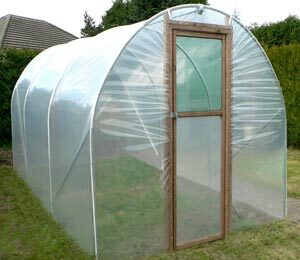 The temperature inside your tunnel will depend largely on where in the country you live and the climatic conditions there. 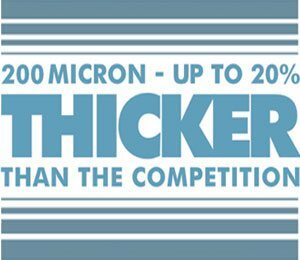 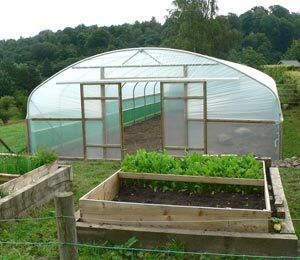 Microclimate will also play a part, and whether or not you were able to place your polytunnel somewhere where it is in full sun throughout the whole day... 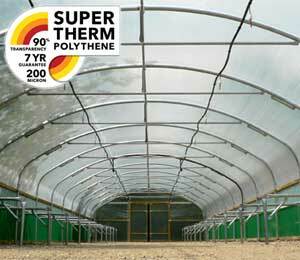 It is important to spend some time observing your polytunnel and working out how much higher the temperature is within the tunnel than it is outside at certain times of year. 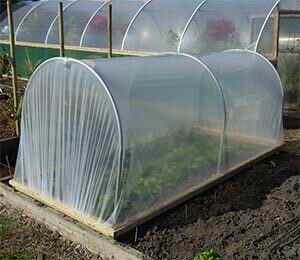 A thermometer is not strictly essential but can be useful for determining when to sow, and when extra protection may be required. 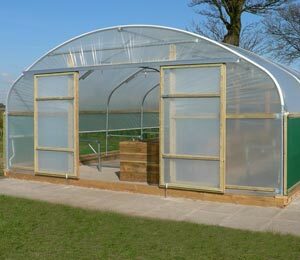 Knowing the temperature in your polytunnel will also be useful when it comes to determining how much ventilation to provide during warmer weather. 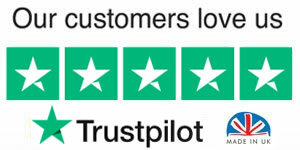 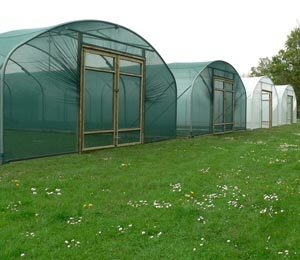 Ventilation is vitally important in a polytunnel – not only will it help to create a through breeze and reduce temperatures, it will also help to reduce humidity and can help prevent certain common plant diseases. 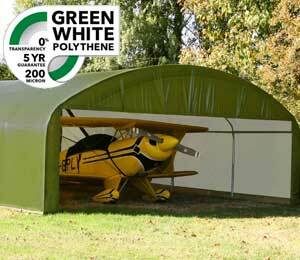 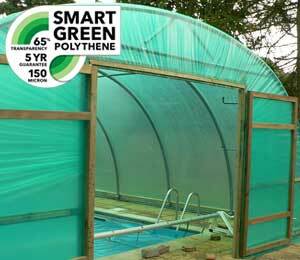 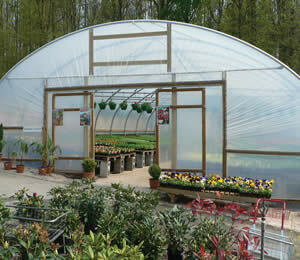 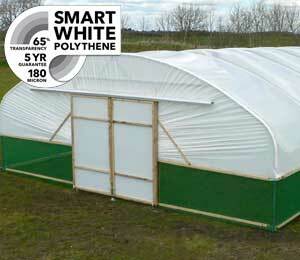 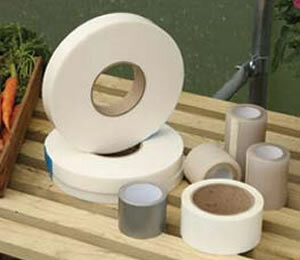 Knowing when to open and close your polytunnel doors is key to successfully growing plants. 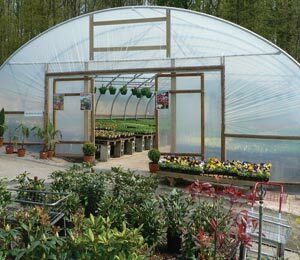 The key to getting it right is to know the temperature and – crucially- humidity – requirements of the plants you are trying to grow. 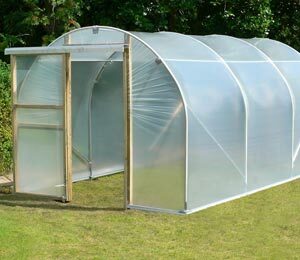 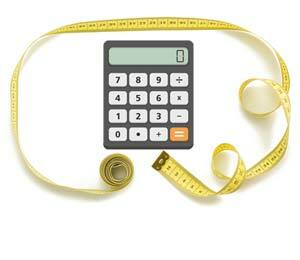 Bear in mind that these may be very different for different crops – cucumbers and tomatoes, for example. 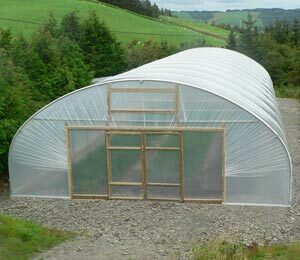 Sensible planting layout and careful separation of zones can allow for differing ventilation and temperatures in different parts of your tunnel. 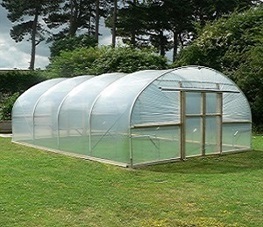 Even in a small polytunnel, planting schemes and perhaps some vertical gardening structures can help to regulate ventilation in different zones – though such complex systems are best worked out by trial and error in the real world. 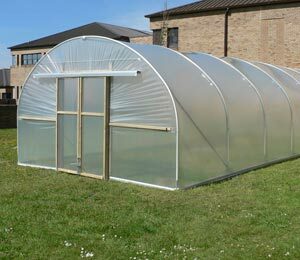 Understand the triumvirate of temperature, ventilation and humidity and you will be a lot further along the way towards a successful harvest and enjoying bountiful polytunnel gardening for years to come.